If you are off to a new start in Internet Marketing, SEO (Search Engine Optimization) will not likely to ring a bell to you. Just simply, SEO refers to a process that amplifies a site’s traffic flow and rankings organically. When it comes to SEO, how does it actually work? The objective is always to increase your site’s organic traffic flow and rank at the top positions of the search engine result pages. It’s also about making search engines recommend your site as a main source whenever someone searches about the topic you talk about. 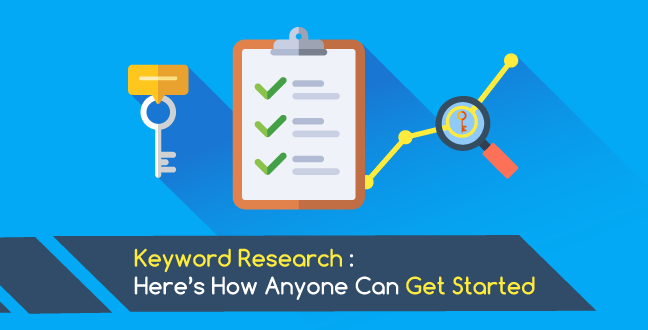 The first thing that you should get started with is the foundation of SEO: Keyword Research. Today, the purpose of this article is to get you covered on the basics of keyword research and how it may help you in your search engine optimization campaigns. Let’s explore more on this topic, shall we? Keyword research is a method used by marketers to identify and target which are the keywords that they should be focusing on when writing their content. With that in mind, it would be easier for them to do their writing. So why is keyword research important you ask? With unending competitions mushrooming in every corner of the web, using relevant and proper keyword is crucial. No point in writing an awesome piece of blog or article but no one can search for it right? The aim is to choose your words carefully so that search engines gets it and displays your site in the search results as the most relevant content. According to Internet Live Stats, Google processes over 40,000 search queries every second on average which means there are a total of 3.5 billion searches a day and 1.2 trillion searchers worldwide. 1.2 trillion searches!? See, if you have not done a relevant keyword research, your site may never appear on the top results of search engines. You are only 1 in a sea of billion other contents thrown online every minute of the day. Before we dig deeper, let’s go through certain basics that you will come across and should understand when doing keywords research. 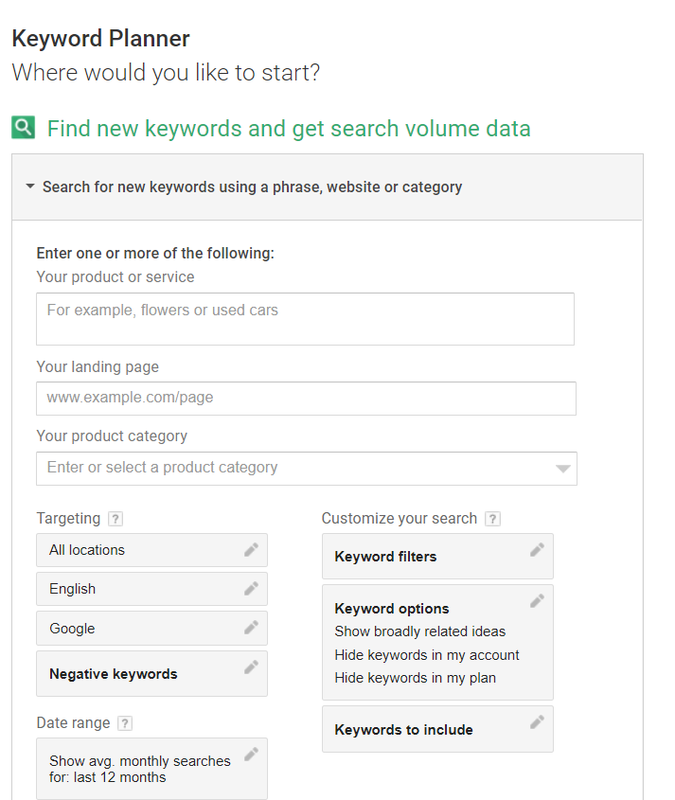 Search volume is a representation of how many times a keyword or term is being searched monthly. The bigger the better (depending on your website and other factors). 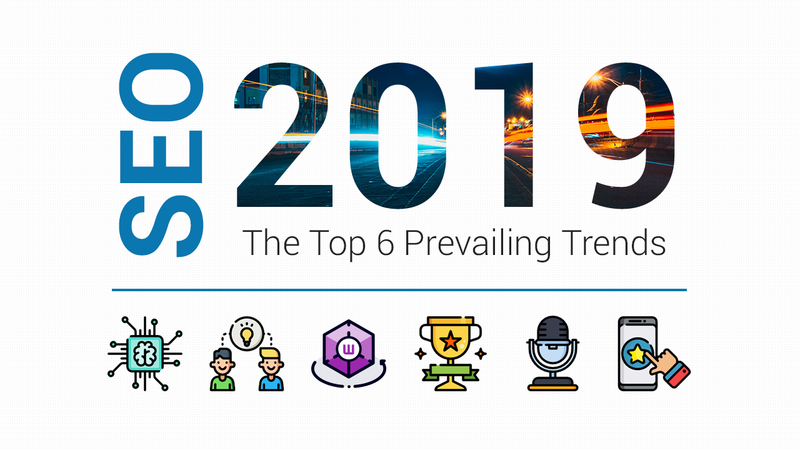 More often than not the popular search terms already have a significant amount of competition, making it very difficult to achieve top positions in search engines. The ideal combination would be a keyword with high search volume and low search competition. So, the more people searches for your targeted keyword, the larger your targeted audience will be reached. If no one is searching for your keywords that you’re targeting, then no one will be able to find your content. Simple as that. Length of a keyword is another factor that is important for volume and difficulty. As you might have gotten it correctly, volume becomes lower for longer keywords and vice versa. Based on their length, you can differentiate 2 types of keywords. 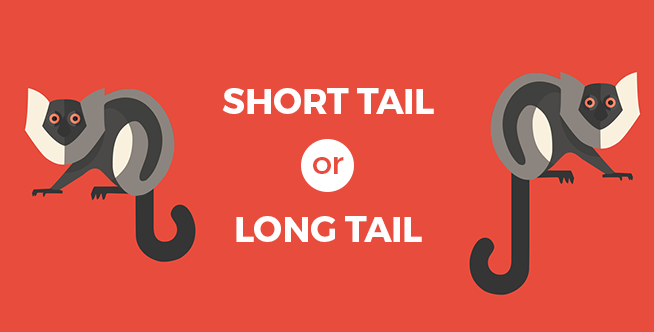 Short tail– 3 words or less. They are words that are rather general. Thus, it has a high competition, costly and rather challenging to achieve high positions in search engines. For instance, when you are searching for things to eat; ‘Western Food’, ‘Chinese Food’ or ‘Arabian Food’ or countries to visit; ‘Japan’, ‘Thailand’, ‘Canada’. Long tail – More than 3 words. They are rather targeted or focused. Thus, it has lesser competitions, is less costly and can achieve a desirable position while targeting the selective audiences. For instance, ‘black prom dresses’, ‘cheapest shoes on Lazada’, or ‘natural ingredients for acne problems’. 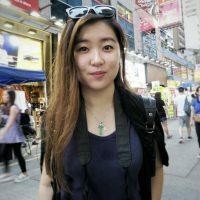 Both short vs long keywords have their pros and cons. So you be the judge of that! When coming up with contents, you have to consider if people are looking for established knowledge or something that is trendy. 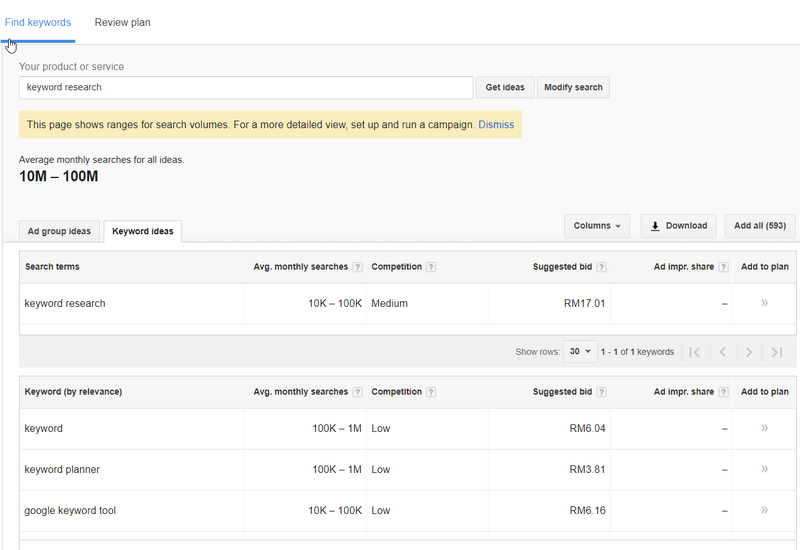 By doing this, you can then design a content to fill in their search intent. There are 2 categories of keywords that cover timeliness. Trendy – Words or phrases that are trending a certain time period such as ‘2017 F1’. Once a particular “topic” has lost its timeliness, the word is no longer searched by the public. Evergreen – Words or phases that would sustain and last a lifetime such as ‘Ways to tie a Shoelace’. This question is not subjected to any changes in time. It stays there for as long as there is still the existence of shoelace. Known as Latent Semantic Indexing or, Semantically Related Keyword. LSI Keywords help Google to understand contents better. A simple way of putting it is words that are closely related. For example, if you were to post about ‘Handphones’, it makes perfect sense to include ‘Apple’, ‘Samsung’, ‘Andriod’, or ‘iOS’. Also, how would search engines like Google know how to differentiate ‘Apple’ when it detects the word? Is it referring to the fruit, a name or the well-known smartphone? Yes, I hear the right answer. It uses Latent Semantic Indexing keywords. Now that you’ve got the basics covered, here are 3 seo keyword research tools that you should know of. Oh, all of them are even free to begin with! Old school is the best school. 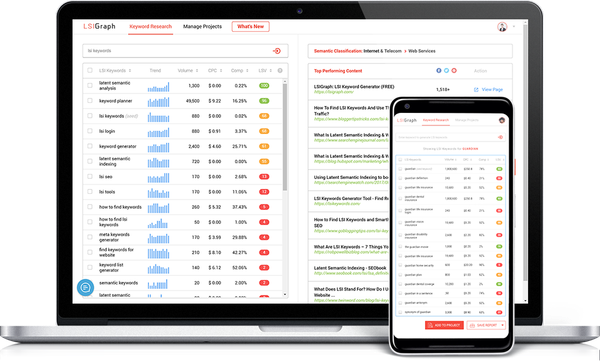 This keyword research tool makes it easier for you as it has detailed traffic estimates, giving you a chance to understand the value of each keyword and narrows it down to the slightest detail one would like to know. i. Sign up for a Google Keyword Planner account here. ii. 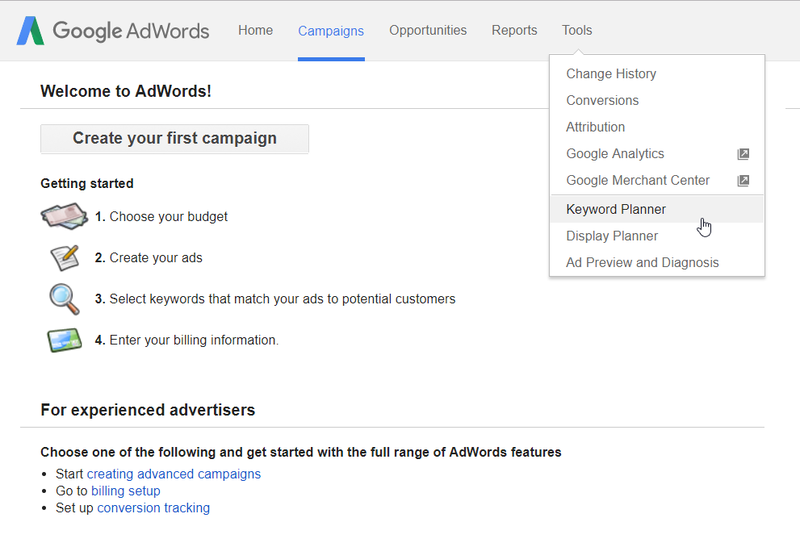 To use Google Keyword Planner, you have to first create a Google Adwords account. iii. Once you’re signed in, click the Tools drop down menu and select Keyword Planner. iv. Click on search for new keywords using a phrase, website or category. v. Type in any keywords you desire and once done, proceed to click Get Ideas. Search Terms: The exact keywords you entered previously. Keyword (By Relevance): List of Keywords Google considers most relevant to the “Search Terms” keyword. Avg. Monthly Searches: The average number of times people have searched for a keyword and its close variants. Competition: Shows the number of competitors bidding for a keyword. Suggested Bid: Also known as Cost-Per-Click (CPC). Do take note that the competitiveness in the keyword planner is a good indication to how many people are willing to compete for this keyword organically. If you are able to find a keyword that has high volume but low competition, then you are on the right track! Now, let’s see how Google Trends work. Basically, it helps us know how a specific keyword is doing in Google search results and tells us which keyword is in trend. You may search for anything; people, food, animals, literally any keyword that you can think of. i. Check out Google Trends here. ii. At the “Explore Topic” search box, type in the topic of your interest. iii. The following page shows you the interest level of your desired topic based on your desired time range. iv. You can then click on the “+” sign to compare your topic with another topic. v. Scroll down the page and you’ll see a much more detailed information. Interest by Region: Refers to the countries which are interested in the targeted words, arranged from stronger to weaker. Related Queries: It shows queries (not keywords) that are related to the terms that you entered in order of the highest ranking. What you should be looking for is picking a golden keyword with an uprising trend that can sustain even in the future. Up until here, we’ve covered both the Google Keyword Tools, so how do we look for related keywords next? Saving the best for the last. No doubt this is one of my personal favorite. The LSI Graph. It is the simplest and best option for a free keyword tool software. ii. Type in your keyword and press the ‘Generate’ button. iii. It’ll provide you a long list of ideas. 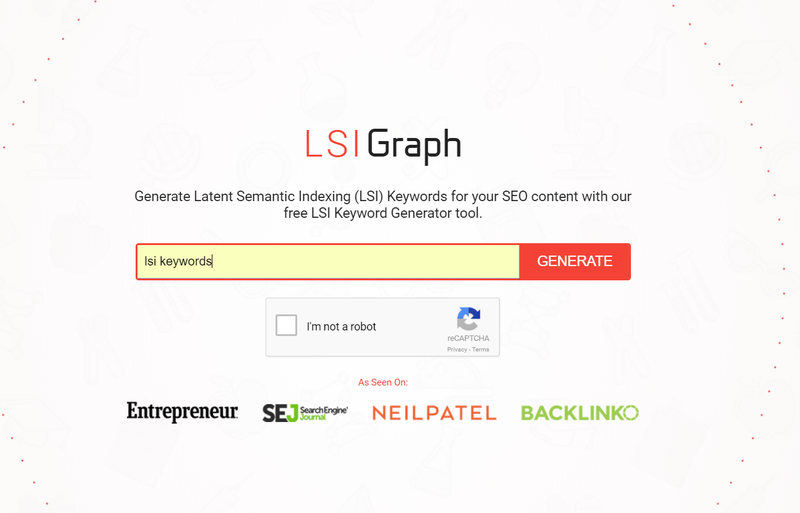 This tool suggests LSI keywords for your target keyword. Your goal here is to insert at least a few of these suggested keywords within your article NATURALLY. This in turn helps you in improving the ranking of your content. Presenting you the Unlimited LSIGraph! On top of that, LSIGraph has made a new announcement on letting their users have unlimited LSI Keyword searches. Besides, their recent update presents accurate data on how search engines understands your topic and how popular it is among the social media platforms. And just like that, you’ll become the next keyword expert in the market and prepare to rank high on Google! Head over to their app now for a one-time only special offer + huge bonus! At this point, you will want to double check if you’ve already gathered all the fundamental points on this subject today. If you’ve checked all 4 points, then congratulations! You’re now ready to move on to the next step which is optimizing your website. It’s a practical strategy to bring in more traffic from every piece of content you’ve published. As time goes by, you may need to re-evaluate your list of keywords over and over again, and adapt to the new ones as new trend emerges. Take your time to study and understand the search intent, your competitors and whether it is worth to give it a try. Always remember, keyword research is a constant ongoing process. In this article, I’ve discussed on some of the main points on keyword research. I surely hope you are able to bring home something useful reading this. That’s it for now, I’ll be back for a more thorough explanation on this topic in the near future. What other keyword research tool would you recommend to others? Do you think seo keyword research is important today? Have I missed out on anything? Do leave me your valuable opinions below!